"Is the Biblical Text Accurate?" FRAGMENTS OF TRUTH is a Christian apologetic documentary that seeks to prove the text of the Bible is accurate, authentic and contains the message of Jesus and the 12 apostles. The documentary portion mostly succeeds at conveying detailed historical information without bogging down, although the movie could do without its concluding question-and-answer session. FRAGMENTS OF TRUTH is acceptable for all audiences but would be ideal for older children and adults, especially those wrestling with the Bible’s validity. FRAGMENTS OF TRUTH is a Christian apologetics documentary about how believers, or any honest seeker, can know that the text of the Bible is accurate and reliable. The movie assembles many of the world’s leading Biblical scholars to dispel the idea that the text of the Bible has been corrupted. Each one speaks about his or her area of expertise to establish the age and authenticity of the oldest scriptural texts known to modern scholarship. They also lay out a plausible theory explaining how the modern Bible is a direct and accurate copy of the original New Testament written by the hands of the apostles. The movie in its present form is actually a 73-minute-long documentary followed by a question-and-answer session at Houston Baptist University. The movie begins with its only recreated scenes, the scene depicts two scholars, Bernard Grenfell and Arthur Hunt, searching the Egyptian desert in the 1890s for lost fragments of the New Testament. Their discovery ushers in the modern era of biblical scholarship. Regrettably, too many “theologians” and credentialed “scholars,” like Bart Ehrman, have used their intellectual efforts to throw believers into doubt about the Scripture’s authenticity. These professors have taught that the original text of the Bible has been hopelessly lost, altered by a powerful conspiracy of emperors and bishops, or exposed as a fraud riddled with lies and contradictions. The scholars assembled in FRAGMENTS OF TRUTH examine the evidence and demolish these myths one by one. The documentary portion of the movie succeeds overwhelmingly in its most important task, that of taking the viewer on a tour of deep scholarship and proving its thesis, without leaving viewers bored, unconvinced or confused. The team of scholars, led by Craig Evans of HBU, surround the topic with a series of interweaving arguments, proofs and historical facts that leave the viewer with little alternative but to accept their argument. For anyone questioning the authenticity of the scriptures, FRAGMENTS OF TRUTH is the antidote. The vast majority of Christians will have no doctrinal issue with the movie. King James purists will object to a scene that dismisses “the long ending” of the Gospel of Mark (Chapter 16) and the story of the woman caught in adultery (John 8:1-11) as historical “ringers” that “don’t belong” in the Bible. The movie bogs down a bit when Evans indulges his specialized area of study, which is how long the early church used the original autographs of the Bible. The documentary is more effective standing alone, as the Q and A session adds little besides needless repetition. Aside from those minor issues, FRAGMENTS OF TRUTH makes specialized and technical material understandable and expertly layers its arguments to make a strong case. This movie would make an ideal session for an adult Bible study, a class for teenagers, or apologetics for people beset by doubts. Technically, the documentary portion compares favorably with any similar hour-long program on the History Channel or A&E (“Mysteries of the Bible” or its ilk). John Rhys-Davies of RAIDERS OF THE LOST ARK and THE LORD OF THE RINGS provides excellent narration. Also, the camera keeps the eye active enough that the viewer can absorb quite detailed accounts of textual history and transmission without nodding off. The visual elements wonderfully enhance the movie by demonstrating the difference between a Bible written on papyrus and a codex, explaining terms like “stratigraphy,” and comparing the ways experts determine the age of ancient manuscripts. The tension and dramatic elements from the musical score help rivet the viewer, while the graphics effectively convey the teaching in visual form. FRAGMENTS OF TRUTH contains no objectionable material of any sort and is acceptable for all audiences. That said, older children and adults will profit the most from its faith-building message. FRAGMENTS OF TRUTH assembles many of the world’s leading Bible scholars to prove that the New Testament that the apostles wrote on ancient papyrus scrolls has the same message as the Bible on their bookshelf. Professors and experts describe how to determine the age of ancient manuscripts. They also relate how impossible it would have been to change the New Testament text, and why the original copies of the New Testament may have survived long enough to be copied and handed down to this day. Aside from a few moments that bog down, FRAGMENTS OF TRUTH does an outstanding job of getting and holding the viewer’s attention, and winning hearts and minds. Although the professors are serious and learned academics, they make their compelling arguments in plain English. Effective graphics and music help viewers easily absorb the detailed message. The movie contains no objectionable elements and is acceptable for all ages. 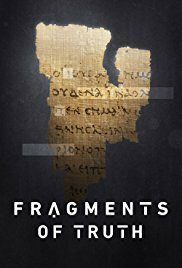 FRAGMENTS FO TRUTH would make ideal viewing in an adult Bible study, a teenage youth group, or classes for the seeker or agnostic whose questions prevent him from reading the Gospel’s life-changing words. Their Daughter Copies Suicide from Popular Netflix Show, and Now They Have an Important Message for Parents!